Planning a trip to the Museum of Science is easy with all-inclusive hotel packages. Our hotel partners provide Museum passes along with luxury accommodations. The AAA Four-Diamond luxury boutique Hotel Marlowe is located near the banks of the Charles River and is only minutes from the Museum of Science and downtown Boston. Offering sophisticated accommodations and amenities, highly personalized service, and gourmet dining at the adjacent Bambara Kitchen & Bar restaurant, the Marlowe is perfect for travelers seeking a truly distinctive experience. Family and pet friendly. After exploring the Museum, grab the family and head to the nearby Kimpton Marlowe hotel. 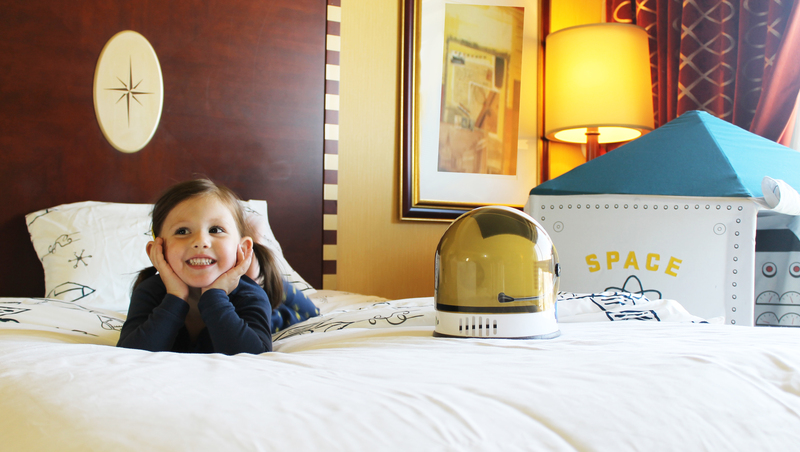 Families are invited to spend the evening in one of the hotel's intergalactic specially-themed rooms that come outfitted with a space playhouse, space themed sheets for the kids, space helmets for Instagram selfies, and bedtime snack of milk and cookies for your little astronauts. Located just around the corner, the Kimpton Marlowe will offer 20% off the best flexible rate to Museum of Science attendees. Rate can be accessed when booking through this link. Blackout dates do apply. Contact the hotel at 800-825-7140. Based on availability. Rates and package subject to change. 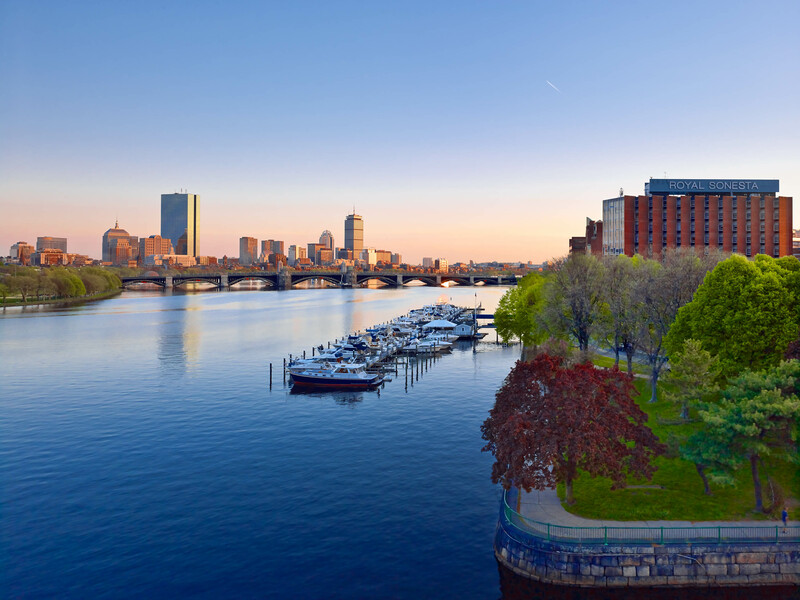 Located directly next door to the Museum of Science, Royal Sonesta Boston is located on the banks of the scenic Charles River offering dramatic and unparalleled views of the Boston skyline. This AAA-Four Diamond hotel is renovated and within walking distance to historic attractions, CambridgeSide mall and more! Complete with an indoor, atrium-style pool and four on-property dining experiences, Royal Sonesta Boston is proud to be named a 2017 Family Vacation Critic “Best Family-Friendly Hotels for 2017” and TripAdvisor Certificate of Excellence winner for their commitment to families. For your convenience, the hotel offers a daily courtesy shuttle to select locations in the Cambridge area. Spark your little one’s imaginations with Royal Sonesta Boston’s Little Scientists package, which includes an overnight stay for four, four tickets to the Museum of Science, milk and cookies for the family, and plenty of time at our indoor pool! Book online using promo code FAM to reserve this package. Based on availability. Rates and package subject to change. 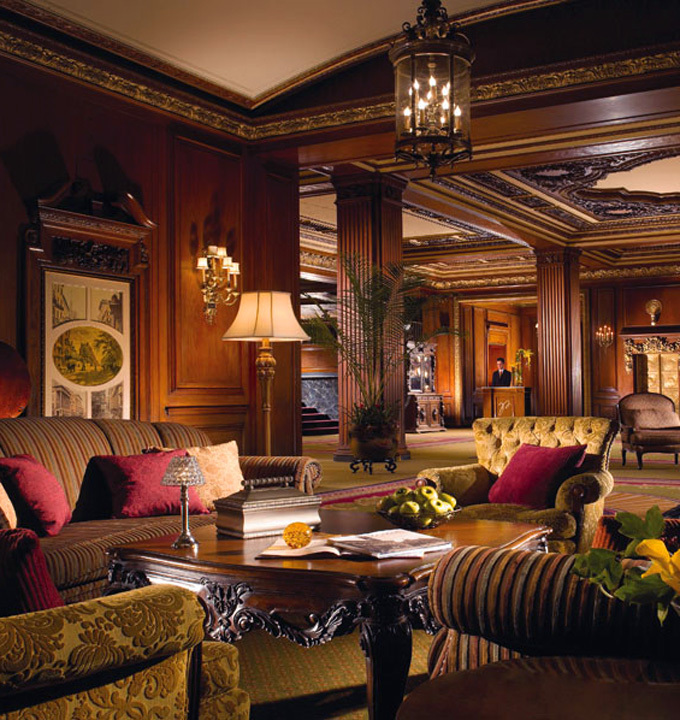 This grand luxury hotel has been symbolic to Boston’s rich history and culture since 1855. Nestled in the heart of downtown Boston, the Omni Parker House is located along the Freedom Trail and at the foot of Beacon Hill, Boston Common, Quincy Market, and Faneuil Hall Marketplace. Redefine the way you think about science in a fun and educational atmosphere! This fun-filled family package include deluxe accommodations, breakfast buffet in Parker’s Restaurant, four general admission tickets to the exciting Museum of Science, Omni Kids Backpacks for the children upon arrival, and milk and cookies the first evening of their stay. The all new Fairfield Inn & Suites Boston Cambridge offers smart, beautifully appointed guest rooms matched perfectly for today's connected, tech-saavy lifestyle with sleek design, free WiFi, and minutes from Boston area attractions. Plan a trip that the whole family will love with our Boston Family Fun Package. Enjoy complimentary passes to Boston's world-renowned Museum of Science. Just choose your stay dates, bring the family, and we will handle the rest. Package includes: overnight accommodations, 2 adult and 2 kid passes to the Museum of Science, complimentary breakfast each morning of your stay, complimentary snack of chips and juice, and late check-out. Promo code: 33F. Based on availability. Restrictions apply. Please contact the hotel directly for assistance. Located near Boston University and the Green Line T, this affordable Boston hotel offers easy access to many Boston attractions, as well as complimentary continental breakfast and hi-speed wireless internet. 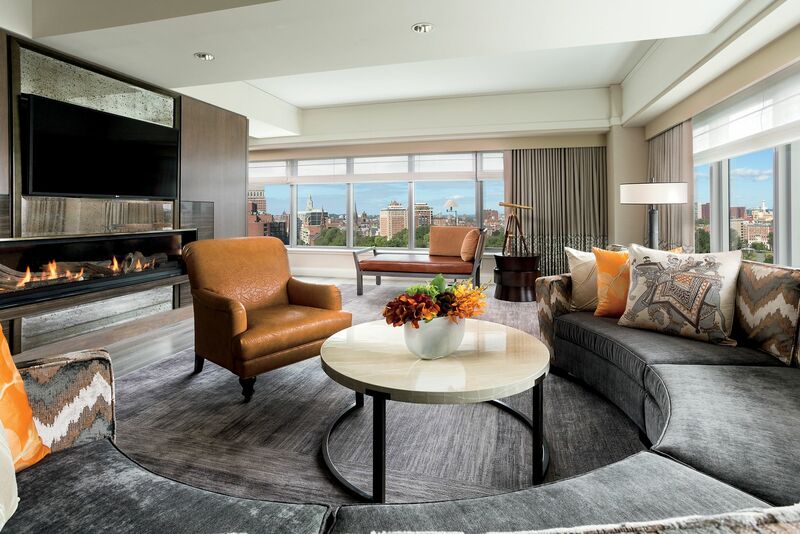 The Boston Ritz-Carlton features locally inspired dining, stylish accommodations, a luxury spa and fitness center and its own $1 million art collection. Following a sweeping $25-million renovation, the Colonnade Hotel has re-emerged as one of the most dynamic Boston boutique hotels. Discover exquisitely appointed accommodations at this Four Diamond hotel in the heart of downtown Boston’s Back Bay/Copley Square neighborhood. Located in the heart of downtown, Hyatt Regency Boston is the ideal destination for shopping, restaurants, theater, nightlife, and easy transportation (connected to the T!). Offering guests complimentary fitness classes as well as guided historic walks, Hyatt Regency Boston will be sure to provide your family a memorable and unique experience in Boston. 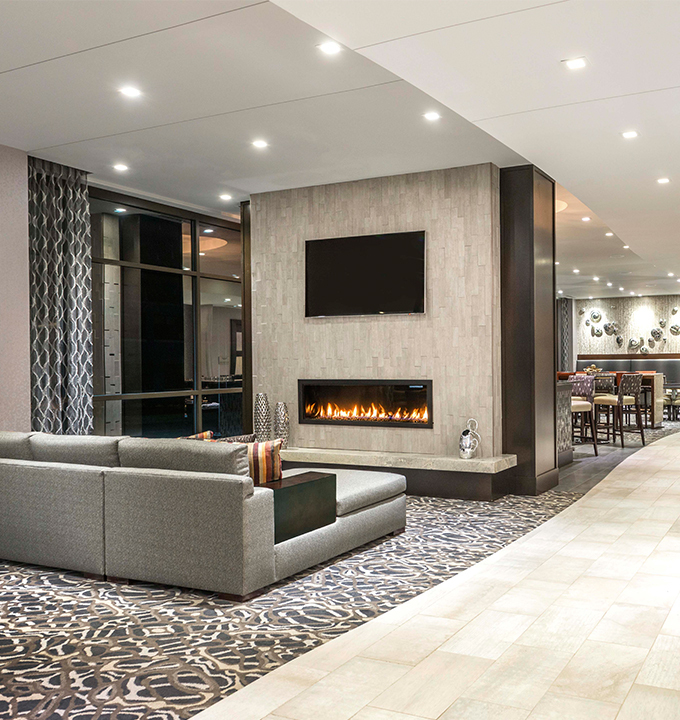 Begin your New England excursion with a visit to the Courtyard by Marriott Boston-Cambridge, the most brilliant jewel on the Charles. Our hotel features 203 beautifully appointed guestrooms, each with unique panoramic views of the Boston skyline, Cambridge, or the Charles River. We offer 24-hour access to a fitness center and business library, as well as complimentary high-speed wireless Internet access for all guests. For families looking for a unique Boston experience or the perfect school vacation week getaway, the Fairmont Copley Plaza Boston offers the Museum of Science Family Package. Boston is home to one the area's finest educational attractions — the Museum of Science. Located on the scenic Charles River, the Museum of Science is on the cutting edge of science education with innovative and interactive exhibits and programs. The Hotel is an iconic landmark within the Boston skyline and is conveniently situated on the Charles River between Boston and Cambridge. Hyatt Regency Cambridge is within close proximity to the Museum of Science. Explore the Museum, stay overnight, and enjoy all that Boston has to offer when you book the Museum of Science package. Spend family time together! Explore life through science and technology at the Museum of Science! The Langham, Boston features the V.I.K. program where the "Very Important Kids" receive a special registration card and a treat upon check-in. After experiencing the Museum of Science, relax in your luxurious accommodations or take the kids for a swim in the indoor pool at Chuan Body + Soul. Enjoy being steps from Boston's favorite historic sites and attractions along Faneuil Hall Marketplace, North End, Boston Common, and the waterfront. The Lenox is a landmark four-diamond boutique hotel located in a city graced by historic charm. Ideally situated in Boston's prestigious Back Bay, the hotel is just steps away from Newbury Street, Copley Place, and Fenway Park. Hotel amenities include: 24-hour fitness center, 24-hour room service, a fully equipped 24-hour business center, personalized concierge service, hybrid car service, and complimentary wireless high-speed Internet access. Quintessentially Boston, The Liberty Hotel welcomes each visitor with its rich history, a team of passionate New England natives, beautifully appointed rooms, and the latest in modern technology to create an unrivaled guest experience. The Liberty Hotel is the perfect spot for experiencing all that Boston offers with easy access to the city from its prime downtown location at the foot of historic Beacon Hill. Loews Boston Back Bay Hotel is a city landmark boasting 225 elegantly appointed guest rooms, a collection of spacious suites, and a host of luxuries for the modern traveler. While maintaining its charm of an old police station house, this luxury hotel invites guests to experience a bit of history while indulging in a fine array of contemporary offerings. Centrally located in downtown Boston, The Midtown Hotel blends comfort and convenience with affordability. This moderately priced hotel, nestled in the heart of Boston’s Back Bay, puts the city at your doorstep. 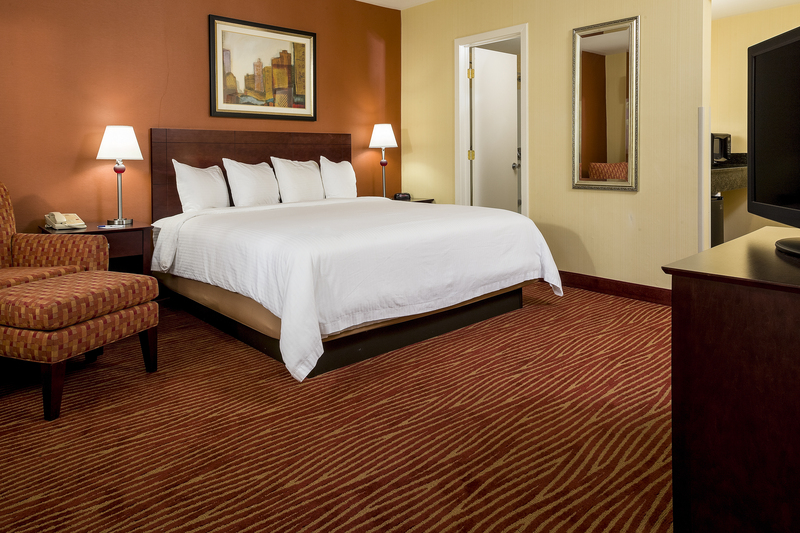 For business and leisure travelers alike, The Midtown Hotel is Boston’s most affordable city-center hotel. The Seaport Boston Hotel will provide you with refreshingly different style and service whether you’re visiting Boston for business or leisure. Located on the waterfront in the bustling Seaport District, the Seaport Boston Hotel offers luxury accommodations with dazzling city and harbor views and incredibly convenient access to all major points of interest. Located steps from Boston’s charming Beacon Hill neighborhood of gas-lit streets and brick sidewalks, the Wyndham Boston Beacon Hill provides guests with an accessible location from which to explore the historic city or prepare for a day of business appointments.